Leading line, leading fence. Tomatoe, tomato. 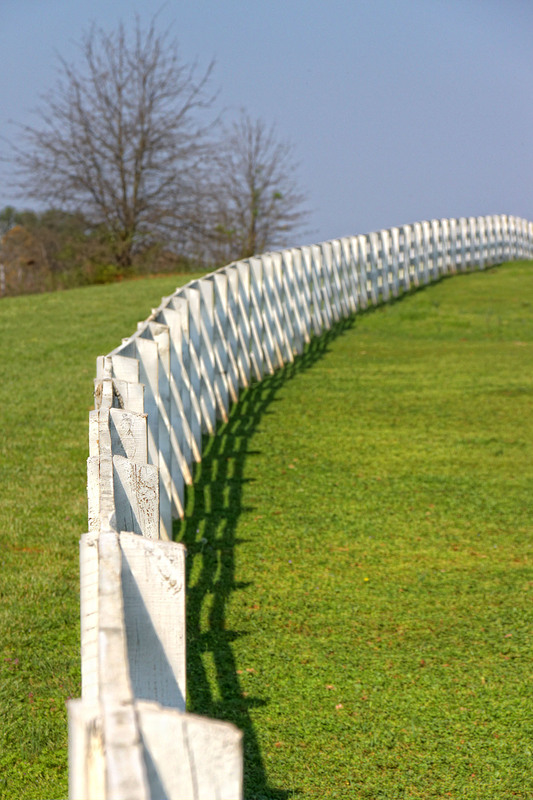 I saw this long white fence on the green grass leading your eye from near to far. If your eyes follow the fence, what will you see at the end? Sky? More fence? The future? Tell me.